TV personality, singer, dancer and passionate conservationist – Bindi Irwin’s star has continued to rise since she first became known to audiences of The Crocodile Hunter through her late father Steve and as the presenter of wildlife documentary kids show Bindi the Jungle Girl. With her mother Teri and brother Bob, Bindi was the star of Australian factual television series Steve Irwin’s Wildlife Warriors. She has appeared on The Ellen DeGeneres Show, Larry King Live, and Good Morning America and released singles, music videos, and a kids’ fitness program. Among her many other achievements include being the youngest person to have graced the cover of New Idea in 2006; winning the Australian Geographic Society’s Young Conservationist of the Year award in 2014 and being the winner of Dancing with the Stars (US) in 2015. 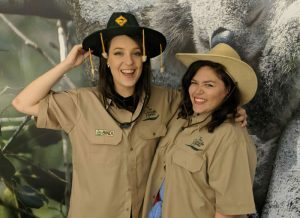 Features of the Bindi Irwin Room include jungle plants, fun interactive items donated by Australia Zoo (dress up Australia Zoo shirts anyone? ), an echidna stool (not spiky to sit on we promise!) and a hidden frill necked Lizard we’ve named Steve to find in the atrium Bindi’s room looks into. Bindi also chose her striking cockatoo artwork by Emma Wreyford. Please call us on +61 2 9264 2451 to book one of our theme rooms. All of the artworks that Bluethumb has supplied will be for sale in the hotel. Any guests wishing to further support the YWCA can simply scan the QR codes on the artwork’s label and easily “add to cart”. A percentage of proceeds from each sale will go towards the incredible work that the YWCA does for women, children, young people and the community. 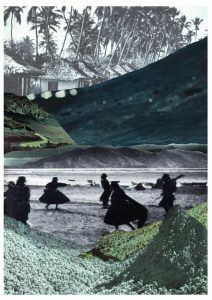 Artist Emma Wreyford’s birds and abstract landscapes emanate movement, vibrancy and wonder. Drawing inspiration from luminosity and psychology of colour. Emma uses acrylic and medium along with a palette knife to achieve the texture in her paintings. Now based in the mid coast NSW after moving on from Sydney, Emma’s artistic practice explores the expansive space, rhythm and intensity of colour found in Australia’s landscape. To browse more of Emma’s artwork and take your own cockatoo home check out more of her work here. Don’t forget to tag #CelebratingWomen #WePavedTheWay #BindiIrwin #Wildlifewarrior #AustraliaZoo #YWCA and #Songhotels if you take any snaps in the room! 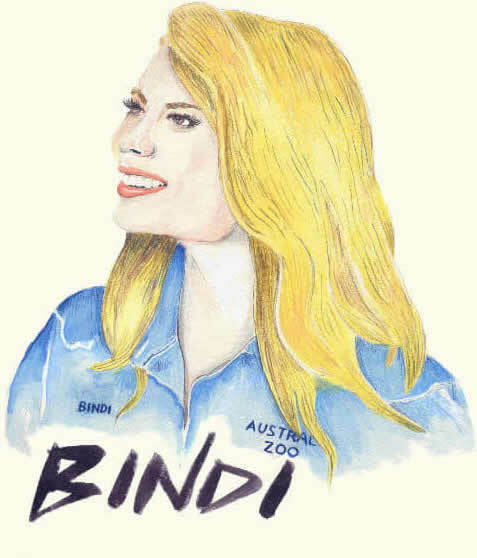 Love the Bindi Irwin room? All of our themed rooms feature high end toiletries provided generously by Lush. All hair dryers, straighteners and curling tongs featured in our new themed rooms have been kindly donated through Stark Matthews by Remington.